Fans of Jamie Heaslip have been granted a glimpse of the wedding of the year. 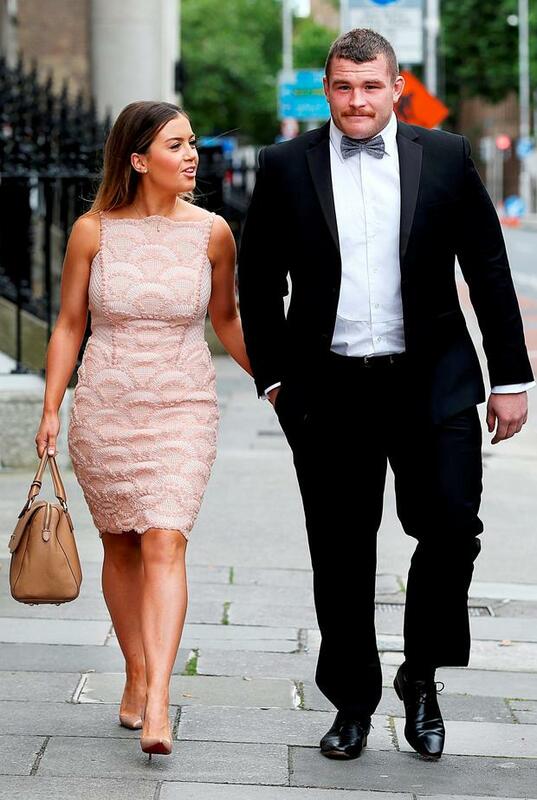 The former Ireland rugby captain (32) tied the knot with Sheena O'Buachalla (30) at the weekend. Their award-winning wedding film-maker 'Story of Eve' captured a few special moments at their picture-perfect day. The Irish-based videographer captioned the piece; "It would be impossible to squeeze every highlight from yesterday into less than a minute so here are a few!". They added; "Massive congratulations @jamieheaslip and Sheena!" The video begins with a shot of the loved-up duo looking into each other's eyes, dog Jay-Z standing proudly nearby, before it gives a glimpse at the Mariachi-style dancing at their exclusive venue. The happy couple swapped vows at Newman University Church on St Stephen's Green, before dinner and dancing at the exclusive King's Inns historic building on Henrietta Street, The Herald reports. Almost 200 family and friends joined the newlyweds at the black-tie reception. Guests included Leinster and Irish star Rob Kearney and girlfriend Jess Redden, Cian Healy with girlfriend Laura Smith, Johnny Sexton and wife Laura, Sean Cronin and wife Claire Mulcahy, and Sean O'Brien and Jordi Murphy. Other guests included former Leinster player Kevin McLaughlin, Devin Toner and wife Mary, his agent Damien O'Donoghue and Jamie's business partner Noel Anderson, with whom he co-owns The Bridge pub in Ballsbridge. Aoife Kelly Santa Claus has been granted permission to enter Irish air space tonight to deliver gifts to the children of Ireland. Independent.ie Newsdesk A young student has captured her grandfather's reaction every time she visits him - and her compilation video has sparked a lot of love online. Aoife Kelly She's only three years old yet Daisy is the undisputed Queen of Improv.